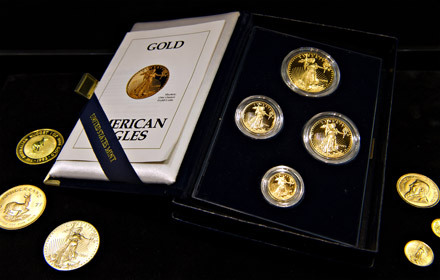 For over 30 years, we have bought and sold rare coins, currency, gold and silver bullion. We also specialize in precious metals like platinum and palladium, and have the inventory, resources and knowledge to meet your needs. All transactions are in a safe and convenient manner, and we guarantee the authenticity of everything we sell. 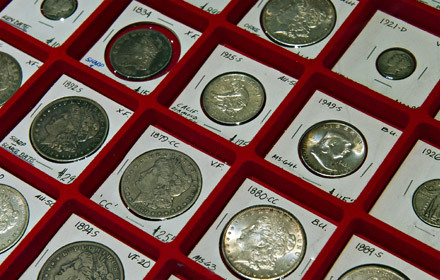 In our Showroom, you will find an extensive offering of U.S. and foreign coins, including proof and mint sets, full state quarter sets, Presidential dollars, American Silver Eagles, National Park quarters and much more. We take particular interest in Morgan dollars, ancient and type coins, gold and silver bullion, U.S. and Fresno currency, and always pay top price with cash on the spot. We maintain a large inventory of supplies from quality companies such as Dansco, Whitman, Harris and Capital to keep your collection safe and organized. Some of our supplies include Coin holders, albums and folders, plastic pages, magnifiers and loupes, presentation holders and storage boxes. We also have a broad selection of the newest price guides and coin publications, such as Red Book, Blue Book, Coin World as well as many historical and reference books. For questions about collecting supplies, please call or send us an email. If you are interested in an unbiased third-party appraisal of your coins, bring them to Fresno Coin Gallery. 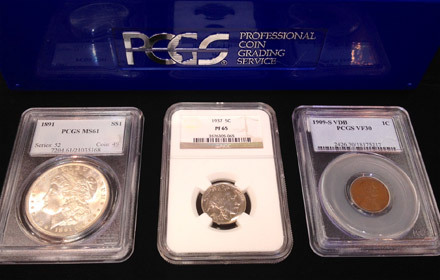 We are an authorized dealer for PCGS (Professional Coin Guarantee Service) and NGC (Numismatic Guarantee Corporation). For questions about coin grading, please call or send us an email. With the value of gold and silver continuing to increase, we offer a quick and seamless way for you to receive the most competitive payout. We also have a large stock of precious metals available for sale. 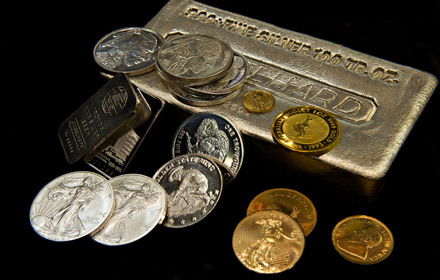 For questions about precious metals, please call or send us an email.